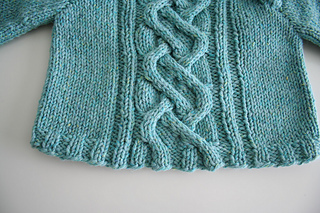 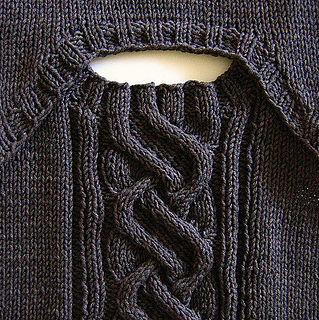 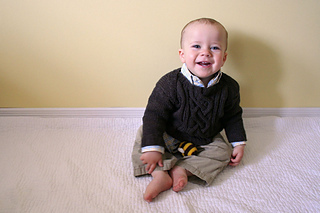 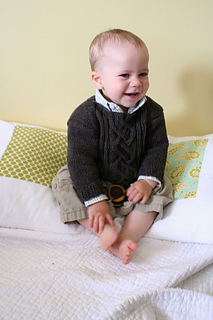 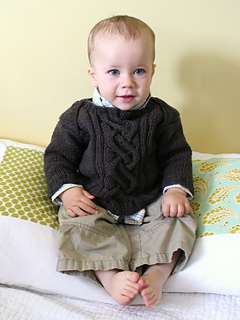 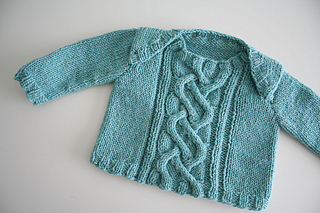 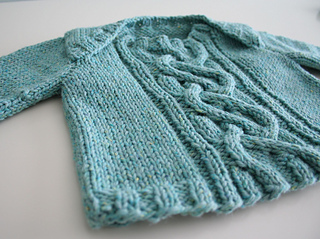 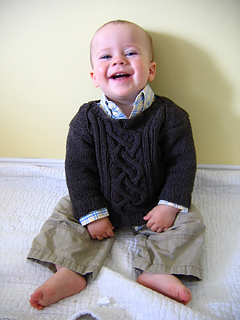 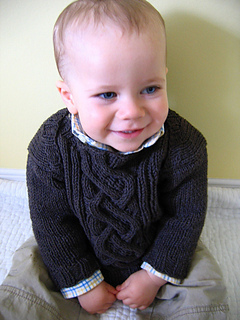 A classic baby sweater with a secret: its quick and simple knit! 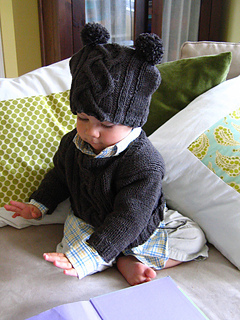 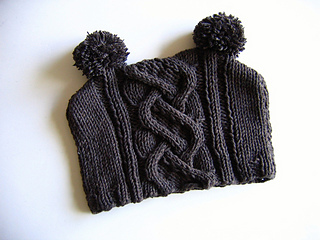 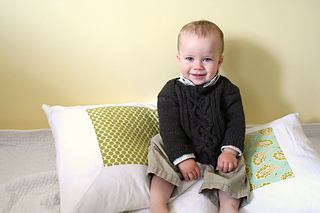 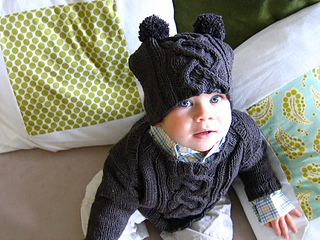 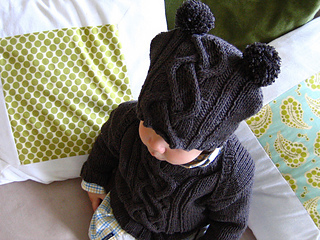 This pattern also features lap shoulders (my fave) to easily fit over those big baby noggins. 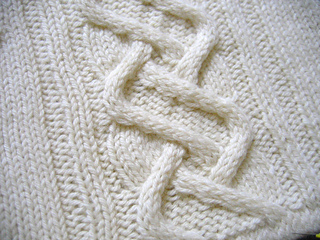 page 4, knit sleeves, step 4 should read “Cast off remaining 31 (34, 34, 36, 40) stitches loosely.